Kyle Grillot - kgrillot@shawmedia.com A Charter Dura-Bar employee works to clear off slag from the top of a container of molten iron inside Charter Dura-Bar Tuesday, January 06, 2015 in Woodstock. 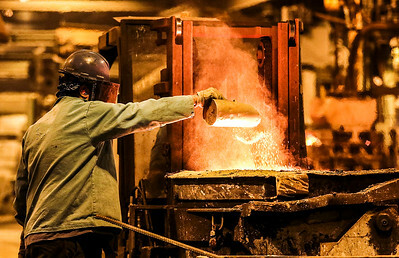 Carter Dura-Bar, which makes continuous cast iron bar stock, was recently named at 2014 Business Champion by the McHenry County Economic Development Corp. Dura-Bar was purchased by Charter Manufacturing in December of 2012, and has been operating out of the Woodstock location since the 1970's. 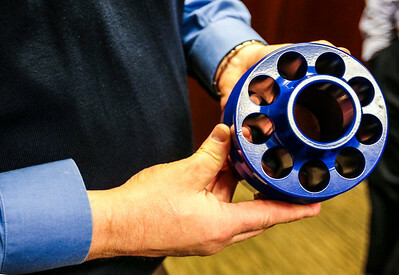 Kyle Grillot - kgrillot@shawmedia.com Vice President and General Manager Peter Murray explains aspects various aspects of a piston pump body inside Charter Dura-Bar Tuesday, January 06, 2015 in Woodstock. 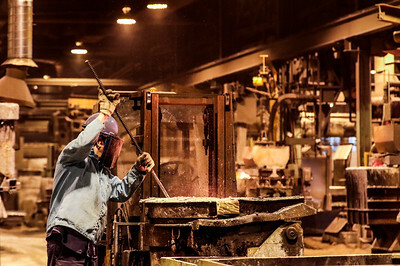 Carter Dura-Bar, which makes continuous cast iron bar stock, was recently named at 2014 Business Champion by the McHenry County Economic Development Corp. Dura-Bar was purchased by Charter Manufacturing in December of 2012, and has been operating out of the Woodstock location since the 1970's. 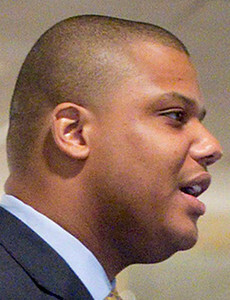 John Konstantaras - For Shaw Media Keynote speaker Earnest Brooks III delivers a speech during the FaithBridge Fifth Annual 2015 Martin Luther King Jr. Interfaith Prayer Breakfast at D'Andrea Banquets on Monday January 19, 2015 in Crystal Lake, Ill.
Kyle Grillot - kgrillot@shawmedia.com A Charter Dura-Bar employee works to clear off slag from the top of a container of molten iron inside Charter Dura-Bar Tuesday, January 06, 2015 in Woodstock. Kyle Grillot - kgrillot@shawmedia.com A Charter Dura-Bar employee clears off slag from the top of a container of molten iron inside Charter Dura-Bar Tuesday, January 06, 2015 in Woodstock. 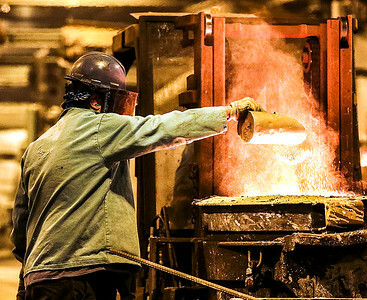 Carter Dura-Bar, which makes continuous cast iron bar stock, was recently named at 2014 Business Champion by the McHenry County Economic Development Corp. Dura-Bar was purchased by Charter Manufacturing in December of 2012, and has been operating out of the Woodstock location since the 1970's. A Charter Dura-Bar employee works to clear off slag from the top of a container of molten iron inside Charter Dura-Bar Tuesday, January 06, 2015 in Woodstock.